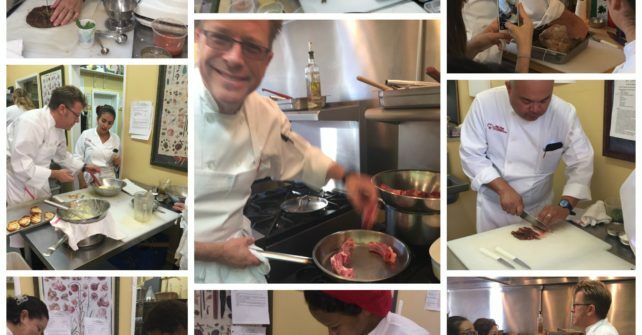 Many of our readers know how much I love to teach – I’ve been doing it for years – but my joy doesn’t come from simply showing others how to cook, it comes from opening doors to students on how much joy and health can come from understanding how to prepare and execute any meal. In reality, that education extends far past the kitchen and into the grocery store, the restaurant, and even into the budget. 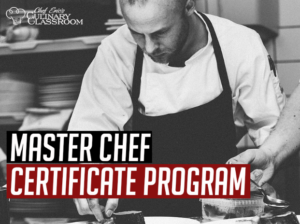 At the same time, it’s magical to watch students in any one of my classes, but especially the Professional Programs and the Cooking Series, transform. Case in point – I recently had a student taking a once-in-a-lifetime trip to Europe that changed her flight reservations to make sure she could be back home in time to attend her course that week. Over the years, I’ve had dozens of stories like this one (well, not necessarily requiring a flight over 9-time zones!) and that is why I teach – to share the experience. What was the best gift you received or gave last year? Chances are, it wasn’t something, it was an experience. A vacation? An evening out? Perhaps tickets to a sold-out show? In other words, an experience that created a memory or opened up a new door based on the knowledge you had gained. That’s what my jet setting student was after when she landed in LAX that day – the chance to expand her knowledge and experience something far beyond another electronic gizmo or the newest Apple product. I’ve been fortunate to have studied and lived abroad in a variety of circumstances in my life and those months and years have been some of the most enjoyable to remember and to actually use every day and that’s what I’d like to ask you to think about this season. Give thanks to the ones who care about you and show that thanks by giving them something they can experience and enjoy. 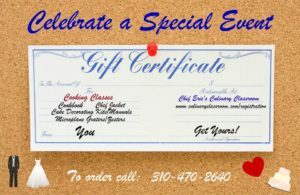 About now, you’re probably expecting me to pitch something – one of the many courses and classes that I teach in the Culinary Classroom, or even a gift certificate. In this festive season, though, I’m asking you, as a reader and a friend, to consider what it is we all need to have in this life – a life that is increasingly interconnected digitally but not physically. I’m asking you, this year, to consider NOT giving another gift that will sit unused after the New Year but to give those things that each of us have only a finite amount of – the gift of time, or the chance to learn a new skill, or to experience something new. It is the greatest gift that any of us can give one another and, in the end, the only one that will always fit and will never go out of style. To me, stories like Matt’s validate everything I set out to do all those years ago when we opened the Culinary Classroom and, as we remember the nature of the Holiday Season, it reassures me that for those that give, there will always be people out there ready to receive. I wish you all the best in this season and look forward to sharing a wonderful New Year with all of you!